Do you own a home in Prescott and prefer to spend your summers here? You are not alone, the temperatures are mild here, and scenery is full of pine trees. Although the Prescott area does not have the subzero temperatures of Northern United States, many people still do not reside here during the winter, preferring the warmer climate south of there when the chill begins. 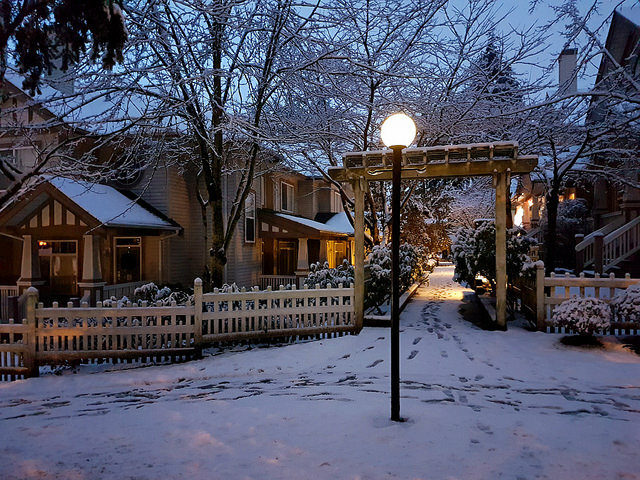 If you are heading to a warmer climate, there are a number of things you should consider doing to protect your home while it is vacant during the winter months. At Affordable Plumbing Solutions, Prescott’s affordable plumber, brings you these tips. If you plan on not returning to the home during the winter months, the simplest thing to do is have a plumber to turn off the water, and drain everything. This is the surest way to protect your home from the freezing temperatures. Returning to burst pipes next spring is costly and can really cause you some undue stress. Not leaving for the whole winter? Are you planning on returning at some point during the winter to stay for Christmas or a weekend event? Who can blame you! In Arizona’s Christmas town there are many things to do during the holidays. You may not need to go to the drastic measure of completely winterizing your pipes, but taking some precautions will ensure your trip is not ruined. Heat is important in keeping your home damage free. It’s a good idea to leave the heater on low (55 degrees or so) to keep the house and wall spaces where the plumbing is normally located above freezing temperature. If you live in a home that has a natural gas line, you have an unlimited supply of fuel, if you have a propane tank you should be sure it has enough to last. Also, be sure to collect the messages off your answering machine remotely on a regular basis, or leave your cell number with a trusted neighbor, in case something has happened, and they need to contact you. As mentioned before, this area is mild compared to the cold experienced up north. However it does get cold enough here cause damage. If you have concerns about preventing pipes from freezing, a great source in Prescott is Affordable Plumbing Solutions. Contact us today at 928-925-6541.